Lady Mary Johnson was the eldest daughter of James, Earl of Annandale and Hartfell, by his wife Lady Henrietta Douglas, daughter of William, first Marquis of Douglas, by his second wife, Lady Mary Gordon. She was married at Leith, on the 8th of March, 1670, to William, sixteenth Earl of Crawford, and second Earl of Lindsay, the son of John, Earl of Crawford and Lindsay, and brother to the Duchess of Rothes. Her husband, like his parents was a nonconformist, and great deference was paid to him by the Presbyterians. On this account he was, throughout the period of the persecution, a marked man; and, from the danger to which he was exposed, he once intended to go abroad, though he never went, but lived in retirement till the Revolution, which brought him deliverance and honour. The early education and family connections of this lady tended to prejudice her mind against the suffering Covenanters. But her marriage into a family distinguished at once for their warm attachment to that persecuted body, and for personal piety, was followed by a great change both upon her personal character and religious sentiments. She became, at one and the same time, a genuine Christian and a true blue Presbyterian. 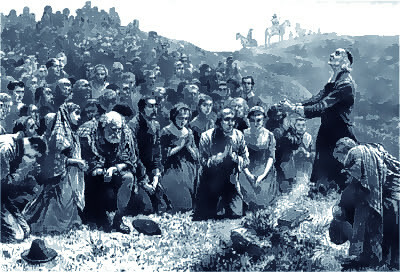 The instrument of effecting such a change upon her was Mr John Welsh, a minister almost unequalled in the times of persecution, for the Christian intrepidity with which he jeopardised his life on the mountains and in the moors of Scotland, in his ardent and indefatigable zeal to proclaim to his fellow countrymen the unsearchable riches of Christ, and whose intrepid labours of love were blessed by the Spirit of God for turning multitudes from disobedience to the wisdom of the just. 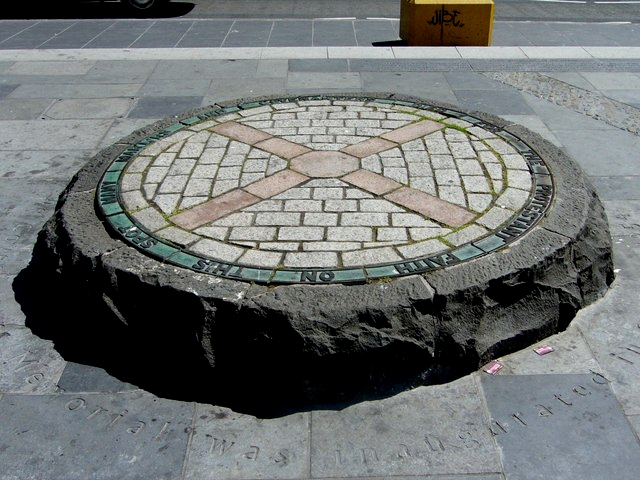 In the beginning of the year 1674, Welsh went over from Edinburgh to Fife with his wife, where he spent about six weeks in preaching, none presuming either to pursue him from Edinburgh, or to lay hands on him in Fife, not even Sharp, who had his residence in that part of the country, and who of all others most thirsted for his blood. During that period Welsh had large meetings both on the Sabbath day and on week days, at which many of the gentry, attracted by the weight of his character and by his homely but powerful eloquence, were often present; the most of whom seemed to be impressed by the word, and favourably disposed to the work in which he was engaged. It was at this time that Lady Crawford had an opportunity of hearing him preach for the first time, in the neighbourhood of her own residence, Struthers House, and his discourse, accompanied by the influences of the divine Spirit, was the means of turning her from darkness to light, and from the power of Satan unto God. From that day she became an altered person; the pride of her heart was humbled, so that, like Mary in the Gospel, she sat at Jesus’ feet, a teachable disciple, listening to His voice, and in the whole of her subsequent deportment she exhibited the living marks of a child of God. Now, indeed, she had not many years to live, but during the brief course allotted to her on earth, she exemplified in an eminent degree the power of vital godliness. In her character were combined the devotion of the saint and the resolution of the martyr. Previous to her hearing Welsh she attended the curates without scruple, but after that, no arguments and no menace employed by her relatives could prevail upon her to go and hear them; and she embraced every opportunity within her reach of attending field conventicles. In her the persecuted, the poor, and the suffering found a sympathizing friend. The vast change she had undergone, her relatives and acquaintance did not fail to observe; and her Christian friends were struck with the rapidity with which she advanced in all the graces of the Spirit, outstripping many who had preceded her in their entrance on the Christian course. Her husband, who loved her with a tender affection, was improved in character by the imitation of her virtues, and encomiums upon her worth were extorted even from enemies.